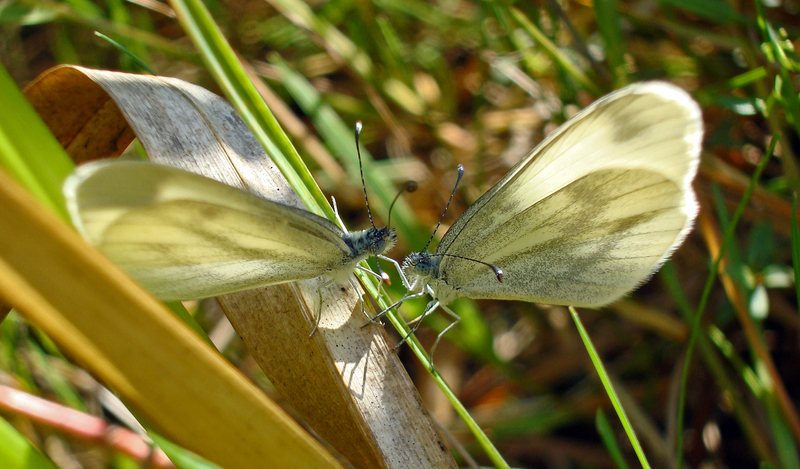 Wood white butterflies in Spain. I took this photo with a small compact camera, which shows that you do not need expensive equipment to get close! It was only later when processing the image that I noticed that the butterfly on the left appears to have raised a partly unfurled proboscis. Was it offering the other one a drink? No, these are courting butterflies. For a more detailed account see my later blog: Wood-whites go-a-courting! Ray Cannon's nature notes Fancy meeting you here!